Kate began her professional career as a Writer/Producer for Turner Network Television before transitioning into a career in service and ministry. After leaving Turner, Kate served as Director of Youth Ministries at Peachtree Road United Methodist Church and as Chaplain at Wesley Woods Rehabilitation Center while pursuing a Masters of Divinity degree at Candler School of Theology. Kate earned her Bachelor of Arts Degree from Wake Forest University. Over the years, she has held many community leadership positions including President of the Parent Teacher Organization at St Thomas More Catholic School, Senior Warden of St Luke’s Episcopal Church and most recently, Board Chair of Crossroads Community Ministries, Inc. where she has become passionate about the issue of homelessness. Kate sees The Boyce L. Ansley School as a major step in breaking the cycle of homelessness. We knew almost immediately that Muminah was a perfect fit for our school. Her passion, energy, positive attitude and depth of experience will be integral to the success of our first class of students. Muminah began her professional life as an architect but soon realized that her real passion was teaching children and began her journey into education. Muminah holds a Masters of Arts in Teaching and Education from the University of Southern California. She taught at the Clara Muhammad School in Brooklyn, NY for 8 years before coming to Atlanta and teaching at The Clifton School. As a teacher, Muminah noticed that many parents did not know how to help their children succeed in school, so she has begun a program called SHAPE (Student Help and Parent Education) to support parents in their efforts to support their children. When reading about the school, she felt a connection to Boyce and knew The Boyce L. Ansley School was a special place. "This school, in my humble opinion, is the product of what our true essence as human beings can produce when we reach inside our nature. I am grateful to be part of this mission." Crystal is a Social Worker with a strong commitment to serving the needs of families. She earned her Master’s degree in Social Work from Savannah State University and her Bachelor’s degree in Psychology from Tuskegee University. 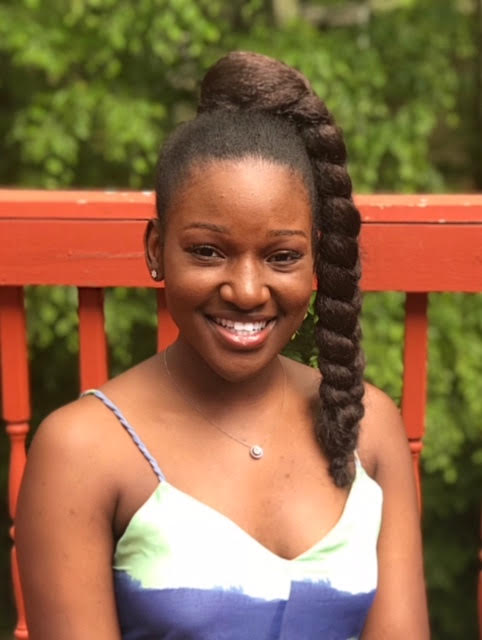 Crystal is a former Parent Liaison with Clayton County Public Schools, where her mission was to empower parents to become active participants in the education of their children. She also educated parents on Title I guidelines by implementing policies and coordinating programs to build capacity for parent involvement. Before beginning her journey in education, Crystal worked as a Case Manager for Chatham County Department of Family and Children Services. Crystal is honored to join the team of The Boyce L Ansley School as she is committed to working collaboratively with community partners to ensure every student of the school is academically successful. Staci McElroy is a compassionate individual, dedicated to educating children. Staci has recently relocated to Atlanta, GA from Buffalo, NY to expand her professional career. Staci graduated from Buffalo State College with a Bachelor’s degree in Psychology and a minor in social welfare. Previously, Staci was a Kindergarten Assistant teacher at Elmwood Village Charter School where she discovered her passion to provide children with positive learning opportunities. She also has experience working as a toddler teacher at the Buffalo State child care center. She hopes to gain experience before pursuing a Master’s degree in Early Childhood Education. Staci is honored for the opportunity to be a member of the Boyce L. Ansley School and is devoted to help the children reach their highest potential. We are so glad to have her on our team! Assata Hatch is a recent graduate of Georgia State University, earning a Bachelor's degree in Business Administration. During her time in school, she worked as a Student Assistant with Pre-kindergarten children at the Lanette L. Suttles Child Development Center. This is where Assata found her passion for education. She enjoys creating new activities for the classroom and is committed to helping students succeed. Assata lives by the words "give and give generously" and implements this phrase into her everyday life. She is excited to join The Boyce L. Ansley School and looks forward to a wonderful year!